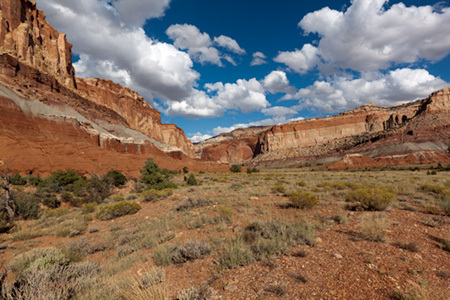 One of the first stops we made at Capital Reef was to view series of petroglyphs and pictographs near the road. 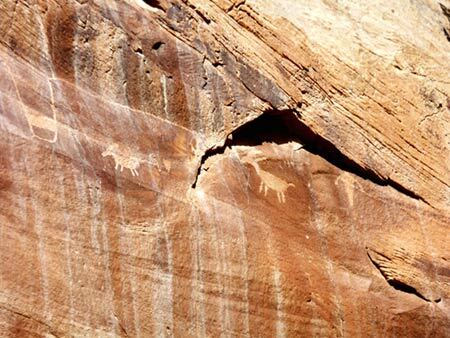 These rock paintings and carvings are the work of Fremont Indians that lived in much of Utah, Colorado, Idaho, and Nevada from about AD 600 to 1300. 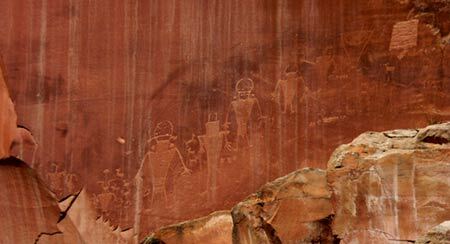 We saw many of these rock figures on our trip and in out Trip West in 2008. No one knows the significance of these figures. I find it amazing that so much of the artwork has survived this long. 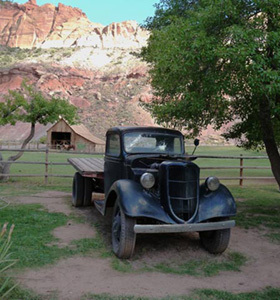 The Gifford Homestead a reminder of what life was like in the early days of the Capital Reef area. 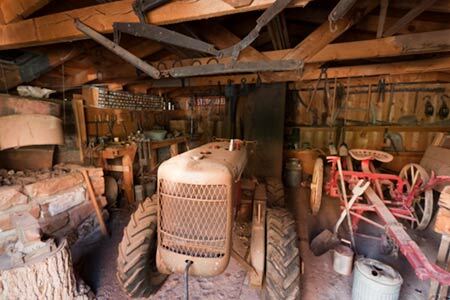 Much like Cades Cove in Great Smoky Mountain National Park depicts life when Cades Cove was an active settlement, the Gifford Homestead depicts life in when the Capital Reef area was an active farming community. 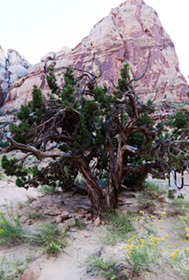 This area was settled in the early 1900s. 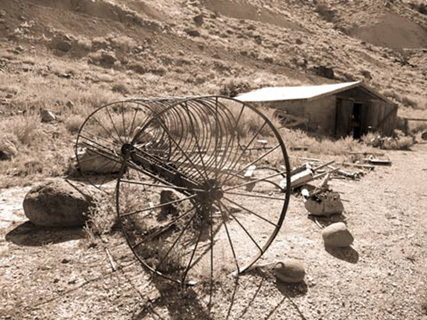 The last settler sold his farm to the Park Service in 1969. So this is a more modern farm than the farms depicted in Cades Cove. 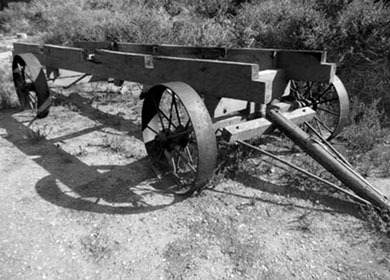 There are gas powered tractors, cars and trucks in addition to the horse powered wagons and other farm equipment. 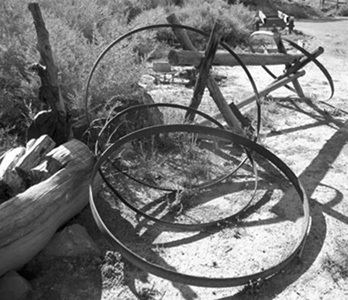 There is a store (called a sales outlet by the park service) where you can purchase reproductions of tools used by early Morman settlers all made by local artisans. There is also a selection of local goodies such as pies, jams and jellies, and other baked goodies. It all looked very good. Plus ice cream. We couldn't pass up the ice cream. 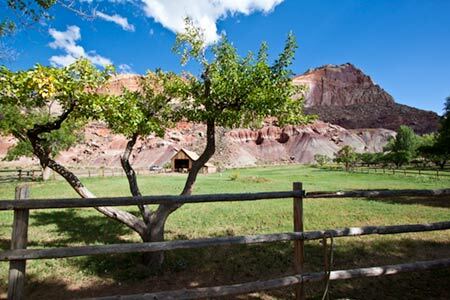 The homestead also has a several orchards where you can pick apples, etc. These are the largest orchards in the National Park system. We enjoyed walking around the homestead, checking out the buildings, and comparing what we saw with what we remembered about Cades Cove and homestead along the Blue Ridge Parkway. While we were enjoying our ice cream, we met two young ladies that were cycling from Maine to California to raise money to drill a well in some third world village where there is no clean water. We had a great time talking to them about their adventure and their project. You can read about them at Water Cycle 2010. They did complete their trip and were able raise the funds needed for the well. A couple of amazing people. 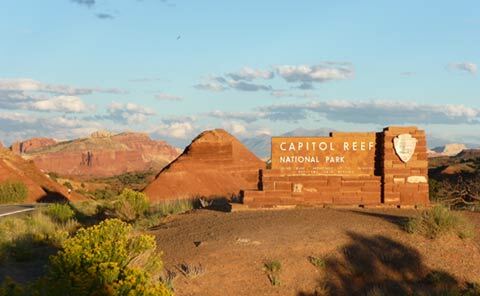 After we finished our snack, we took the scenic drive through Capital Reef. Warning signs about flash floods are all along the road. 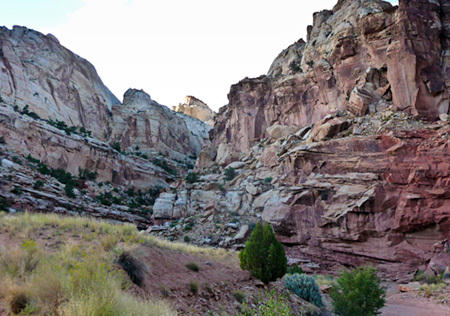 A reminder that all the beauty here was created by flash flood--large amounts of water rushing down the dry canyons. 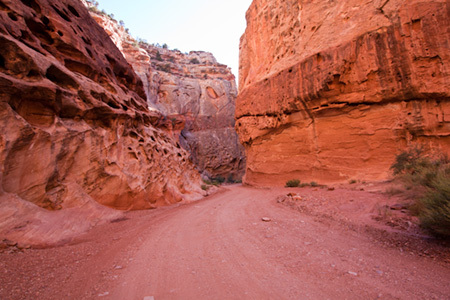 The country is generally open, and then suddenly it narrows into small canyons. The sudden narrowing is what creates the flash flood problem. The water from a wide area is suddenly forced into a very narrow passage. We were there rather late in the day, and the whole landscape was getting more saturated with red with each passing minute. 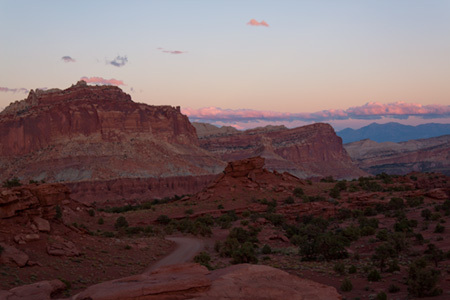 Even the red clay back home in North Carolina isn't as red as the rocks here at sunset. There were, however, a few features that were not red. After we completed the scenic drive, we drove to our motel to rest up after the long drive. 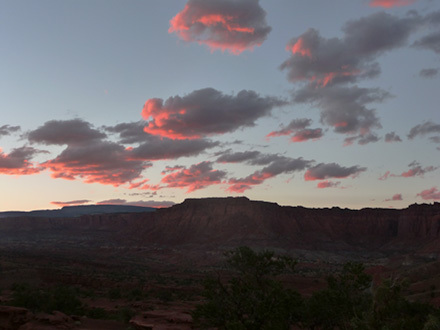 Then we headed back to Capital Reef to view the sunset. 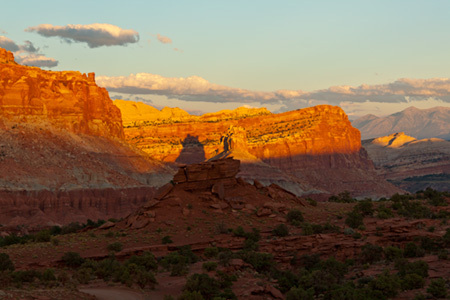 The setting sun really turned on the red in the rocks. The shadows of the spires on the bluffs were also wonderful. It was the first of many wonderful sunsets we viewed on this trip. We drove back to our motel in the dark and tried to find something to eat. We went through town twice looking for something open--these small western towns close early. We finally found a hamburger place that still had an open sign. The door was locked, but the lady at the take out window said to come on in. We had one of the best burgers we've ever had the pleasure of eating. Travels with Nessie Home :: Site Map:: Contact webmaster@ncsparks.com-email us:: Copyright Leslie Sparks 2006, 2007, 2008, 2009, 2010, 2011, 2012,2013,2019:: Last modified: May 15 2011.